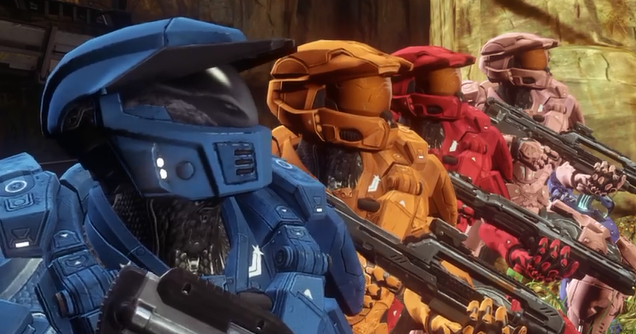 Red Vs. Blue Season Eleven has our two favorite teams of bumbling space marines back for some more action. After the events of season ten we have Red Team (lead by Sarge) and Blue Team (lead by the newly appointed Agent Washington) on their way back home to finally get some rest. Unfortunately their flight was disastrous and crashes into an unknown planet. This planet also conveniently has a red base and a blue base in which both teams rest in with Red Team staying at the red base and Blue team staying at the blue base (I probably didn't need to explain that last part) while they wait for help. While waiting things fall apart quickly as Simmons and Griff (of the Red Team) are at each others necks a lot more than usual as Sarge has claimed most of the base for himself leaving Griff and Simmons sharing a little room. Sarge also builds a robot to help around in the base but is disappointed with how it turns out. Tucker (of the Blue Team) is forced to train by Agent Washington which Tucker isn't a fan of whatsoever. Caboose is... Well he is just being Caboose and is getting on everybodys nerves and annoying them. Things seem to become worse when there are a group of unknown soldiers that are spying on them and these guys don't look like friendly folk. Will someone come to save them? 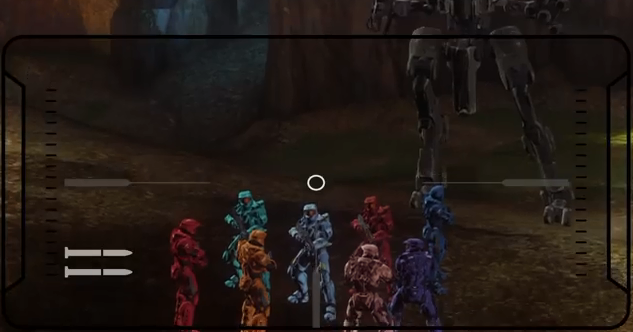 Are these soldiers friend or foe? Will Griff and Simmons ever get a bigger room? (Click "Read More" to read the full review). While there were some funny scenes in this season I do wish that there would be more funny scenes as there isn't much humor in this season as I'd like there to be. This is one of those seasons where they are building up to something big that's going to happen in future episodes. 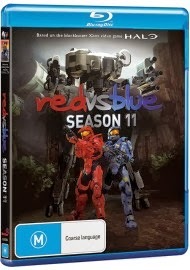 This is nothing new to the Red Vs. Blue series as there have been seasons like this before like "Season Two (2004)" and "Season Seven (2009)" for example. The ending of this season has gotten me excited for future episodes as the story shows some potential to become a really great one. The drama part of this show is decent but when you've had characters act like goofballs for such a long time and then try to be serious will make it a bid difficult to take them seriously. Some characters can pull it off but it doesn't work with other characters. This season also has a decent amount of action in it. It is however toned down compared to the other seasons which isn't bad as it's a nice change of pace after all the over the top action that we've had in the prior seasons (the last five seasons in particular when they introduced their own custom animations). Characters in this show are pretty good but you won't see the best of them in this season but there is enough to keep them from dropping to the "average character" tier. 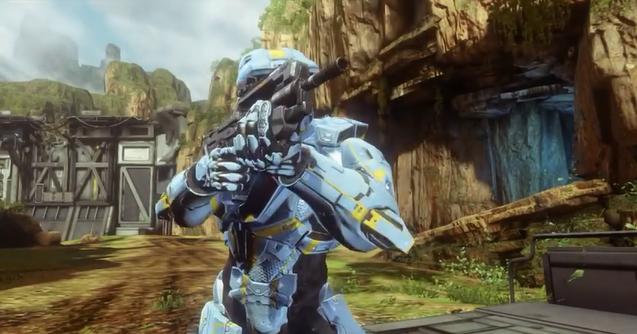 The video game they use for the visual presentation for this season is from Halo 4 (2012) and it looks very mixed-up with the coloring. The characters are really brightly colored and the backgrounds are dark but that's to do with the look of the game itself and not the show. Rooster Teeth have gone back to their traditional style of animation which means that they've dumped all the fancy animations we saw in the past five seasons and have gone back to animating with the game and their Xbox 360 controllers. I really enjoyed this as it looks very natural. Acting in this show is pretty solid and the roles they play help make you forget that you are watching video game footage that they have taped and dubbed over. Music in this season was very hard to remember but from what I can recall about the music is that it wasn't bad sounding but still rather forgettable. 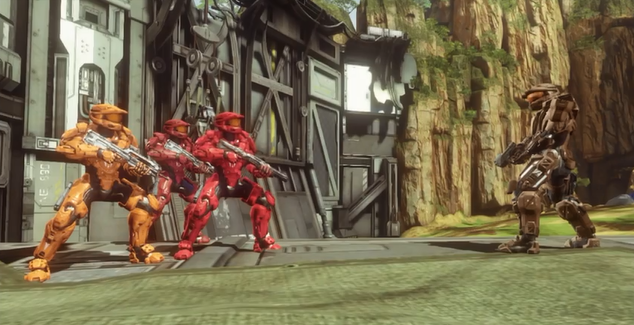 Just like the rest of the seasons of Red Vs. Blue we have some really good special features. You have an commentary track with the cast and crew, teaser trailers, outtakes and some okay bloopers, a really nice behind the scenes documentary, three really funny bonus episodes which are about Griff and Simmons faking a sickness so they can get out of work so they can stand in line to buy Halo 4, Sarge showing off a trailer to a darker and gritter version of the show, and an all new episode of Grifball. Last but not least you also have some very funny deleted scenes. Overall this season was good but not great but is still worth a watch as it does progress the story pretty well. If you are new to the series you will find that this is a decent season to jump into if you want to get into the show. I'm really looking forward to see how this story turns out in the next season.